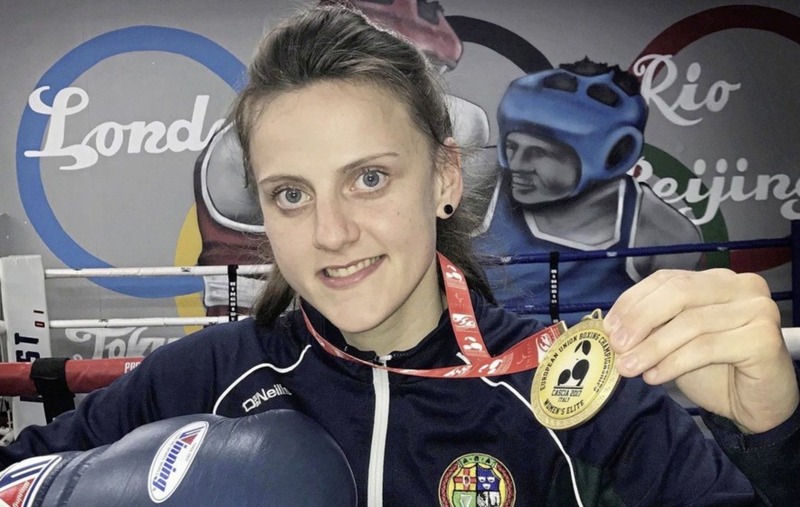 WITH Kristina O’Hara already sure of a silver medal at least, Team NI’s ‘Magnificent Seven’ bid to join her by making it through their semi-finals today. Carl McNaul, Brendan Irvine, James McGivern, Michaela and Aidan Walsh, Kurt Walker and Steven Donnelly have all secured bronze after some superb performances, but now it is all about clearing that final hurdle to make it to the day that really matters. 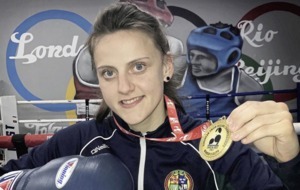 Michaela Walsh, a silver medallist in Glasgow four years ago, can make sure of at least the same this time around when she faces experienced South African-born New Zealander Alexis Pritchard in the 57kg semi-final. The 34-year-old retired from boxing after failing to qualify for the 2016 Olympics in Rio before announcing her return to the sport at the end of last year. She sparred Walsh at the pre-Games training camp in Canberra and, if those tussles are anything to go by, Pritchard is expecting a lively contest. "Michaela's feisty, she's passionate, and she loves her boxing. She's going to be doing her utmost to get into the finals, it's going to be an interesting fight," said Pritchard in an interview on TVNZ. 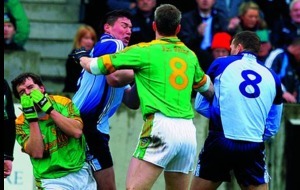 "We had a bit of an interesting wrestling match going on in the boxing ring, but we both walked out fine. It's going to be a busy little fight. "I'm loving the fact I'm into the semis and guaranteed a bronze medal, but I'm going to fight my heart out in there and try to change that colour." Michaela’s brother Aidan oozed class in the quarter-final, and faces the rough, tough Fijian Winston Hill, who proved too strong for Scotland’s Stephen Newns last time out. 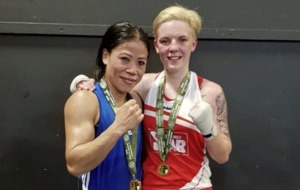 Carly McNaul lived up to her ‘Wrecking Ball’ moniker with a second round stoppage of Nigerian Ayisat Oriyomi on Wednesday, and will be out to repeat that against Christine Ongare from Kenya. 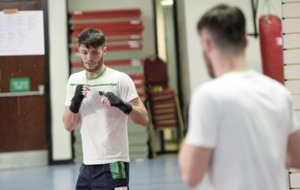 One of the most intriguing bouts of the day will be the flyweight clash between Rio Olympian Brendan Irvine and 2014 Commonwealth Games bronze medallist Reece McFadden. Irvine came through a tough quarter-final with Rajab Mahommed from Botswana, getting the nod on a split decision, and will need another big performance to get past the classy Scot. 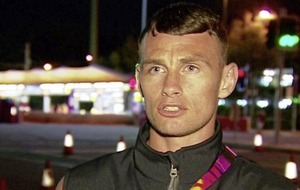 “I just love boxing,” said McFadden after his last eight win over Pakistan’s Syed Asif. 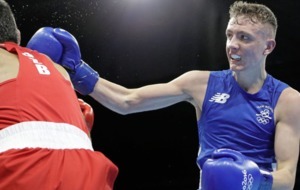 Along with Steven Donnelly, James McGivern has been perhaps the stand-out performer for Team NI so far, his slick counter-punching style proving easy on the eye. The St George’s ace is up against talented Indian Manish Kaushik, who defeated England’s Calum French in the 60kg quarter-final. 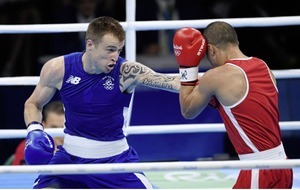 Steven Donnelly also faces an Indian, Vikas Krishan, and is the final Irish boxer in action this morning. Before that, Kurt Walker can remain on course to keep bantamweight gold in Ireland when he takes on Canadian teenager Eric Basran. 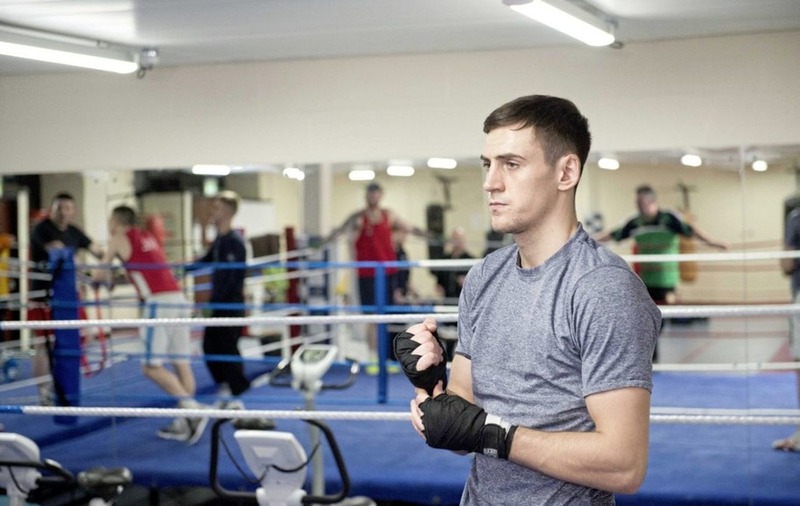 Michael Conlan topped the podium in Glasgow four years ago, and Walker has shown all the signs that he is ready to follow in his footsteps.